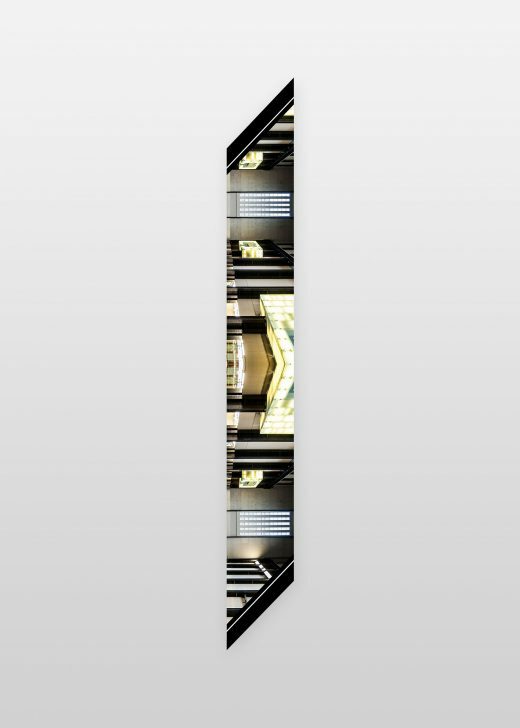 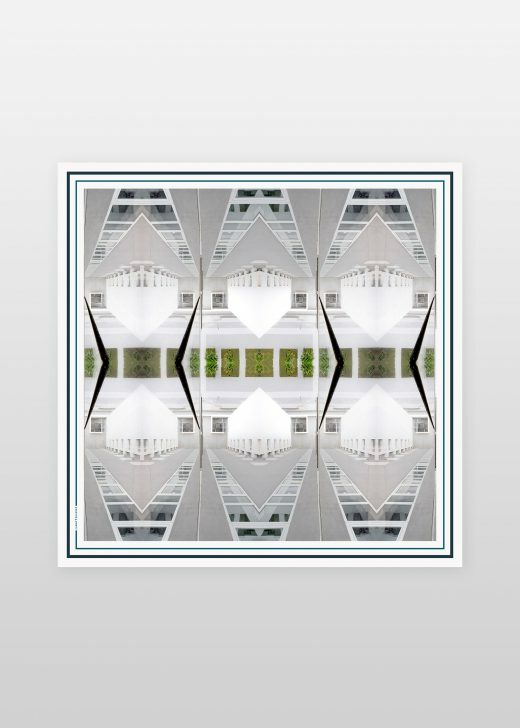 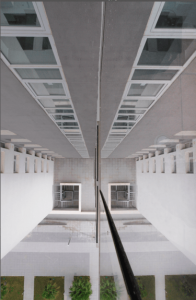 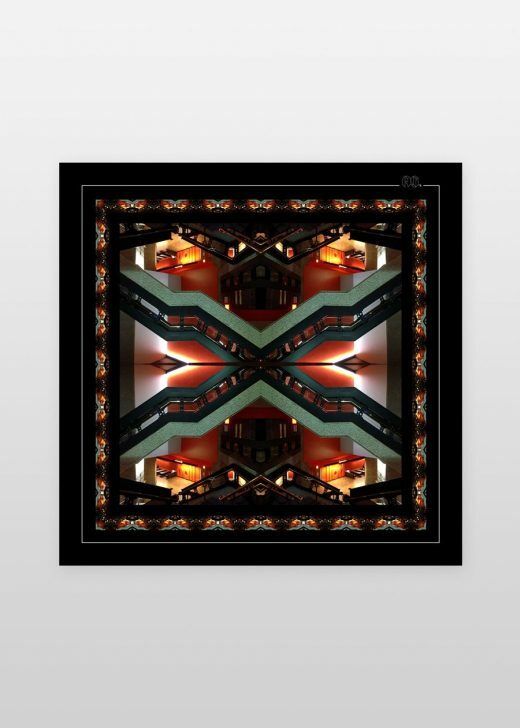 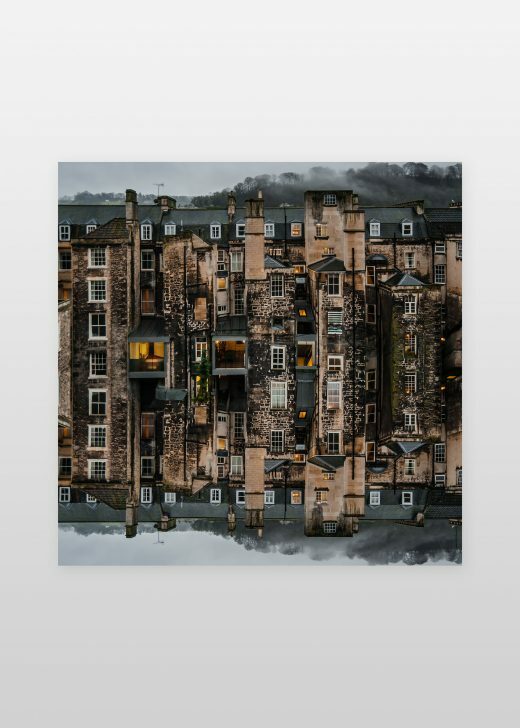 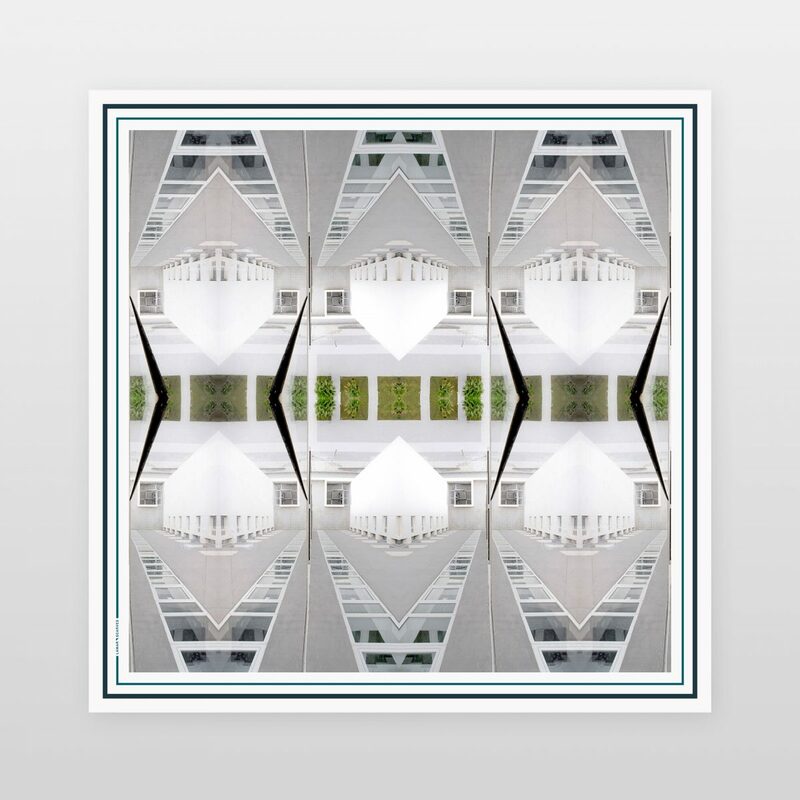 From our Architecture collection, this design plays with perspective and symmetry; even the original photograph features a mirror image. 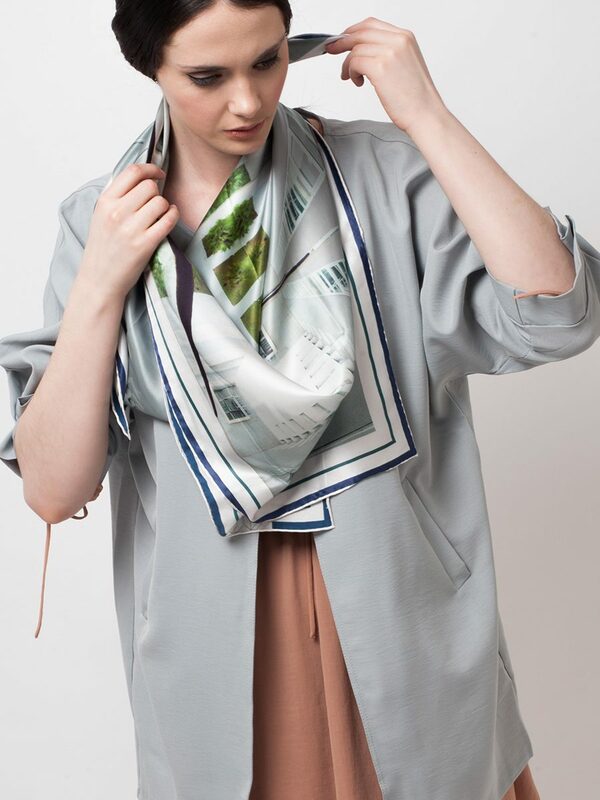 The scarf’s digital print is both familiar and futuristic, with its bold geometric lines and monochrome palette, spiked with vivid green. 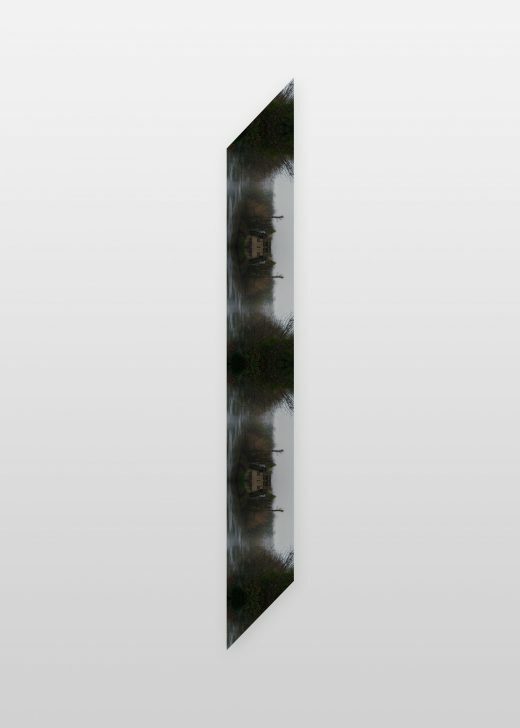 Intricate yet minimalist, this design is a coolly modern style statement. 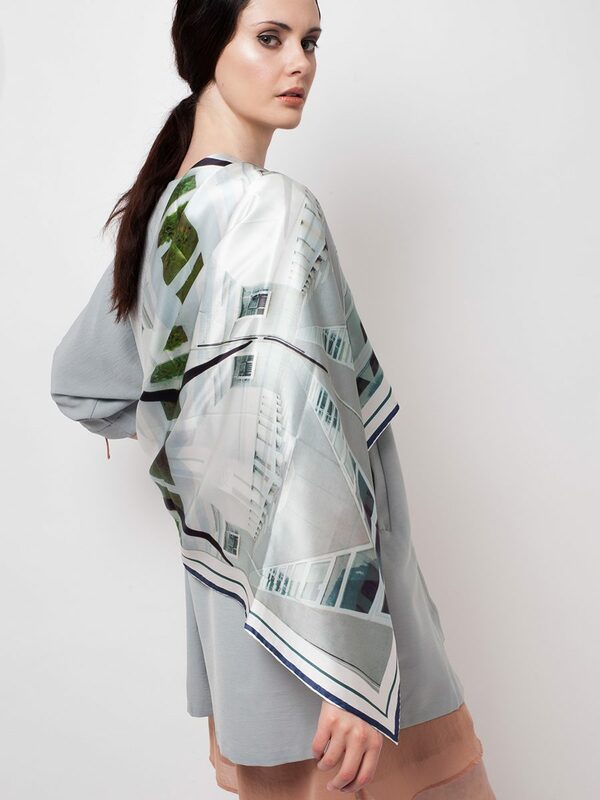 Printed on tactile silk, it lends itself to versatile styling – whether it’s draped to showcase the full print, or folded to reveal a striking section.